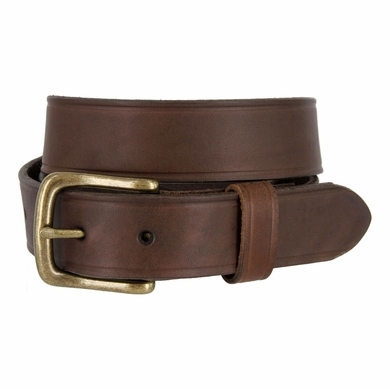 � 1-1/4" (32MM)Wide � Buckle removable. � One piece solid leather. � Antique Brass Finish buckle. 7 adjustment holes, each hole is 1 inch apart.